Husband and I are always up for a DIY, (him especially if there is woodworking involved). 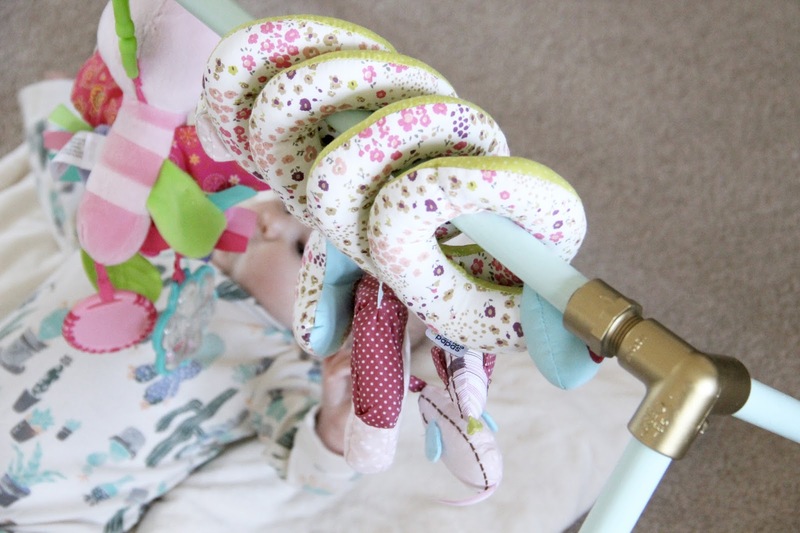 With Greer at the age where touch is a big part of her development, and playtime is now a thing, we have been on the lookout for an activity gym. But, y'all, have you seen the price of an activity gym these days?! If it was going to be used for a long period of time I might be able to justify the cost. But Greer will grow out of it faster than I can bat an eye. We quickly gave up the search and decided to make something of our own. 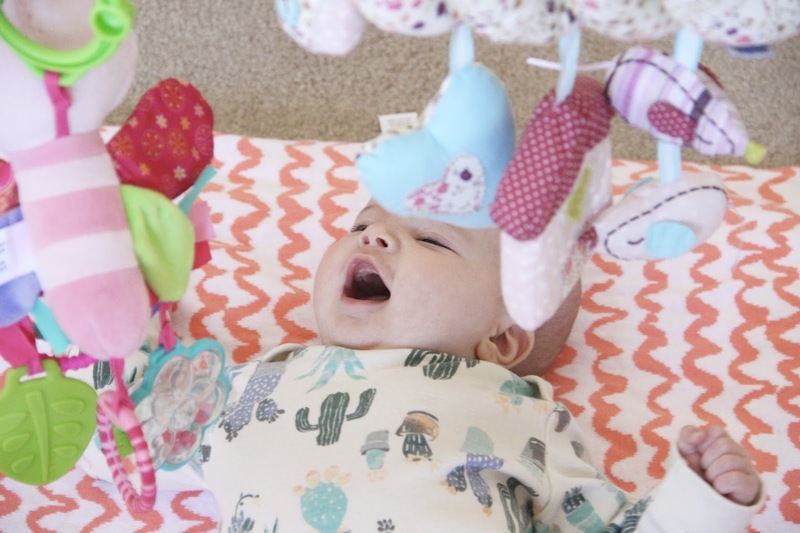 With some inspiration from my friend, Emily, we put together a super simple activity gym that you can make for your own babe. The benefit, you can customize it to your liking, and you decide how much money to put into it! After everything dried he assembled the pieces using super glue to hold all pieces in place. The adapters go into the elbows to support the cross bar. For the legs, they rest on the bottom part of the elbow inserts to give the angle we desired. 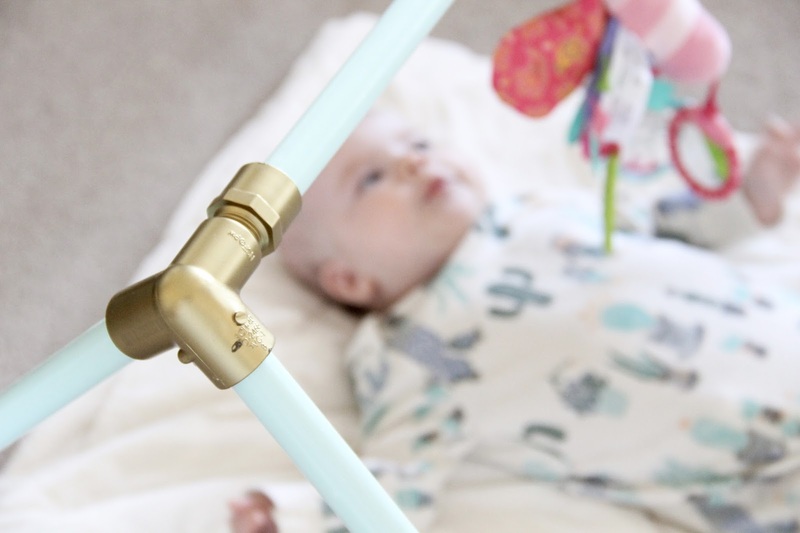 Lastly, put the toys you have on the cross bar. Do not put an excessive amount of weight. 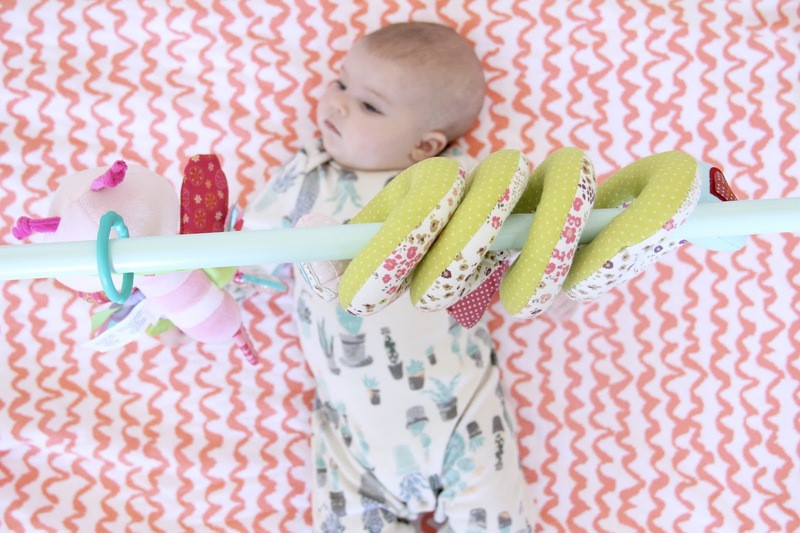 These links are great for adjusting the height of the toys to help baby reach them. And of course they can be changed the bigger baby gets. 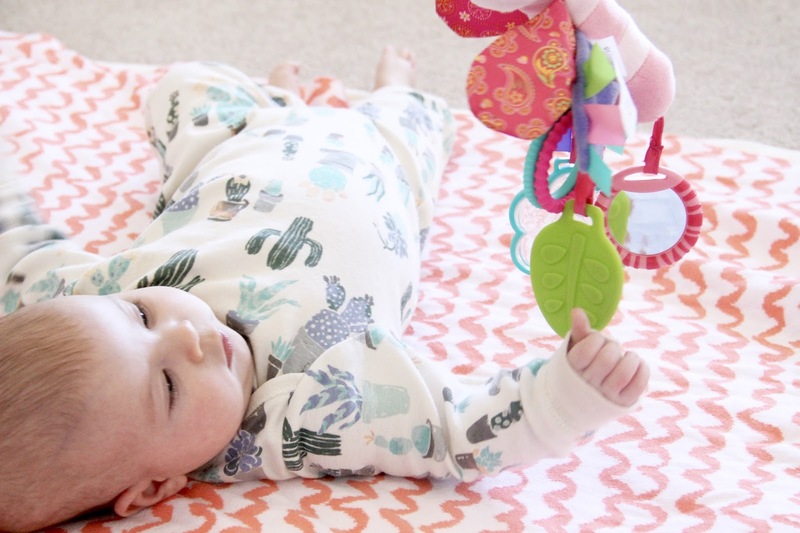 Last but not least, grab a couple of soft and plush blankets to stack on the floor as a soft place for baby to lay while she plays. 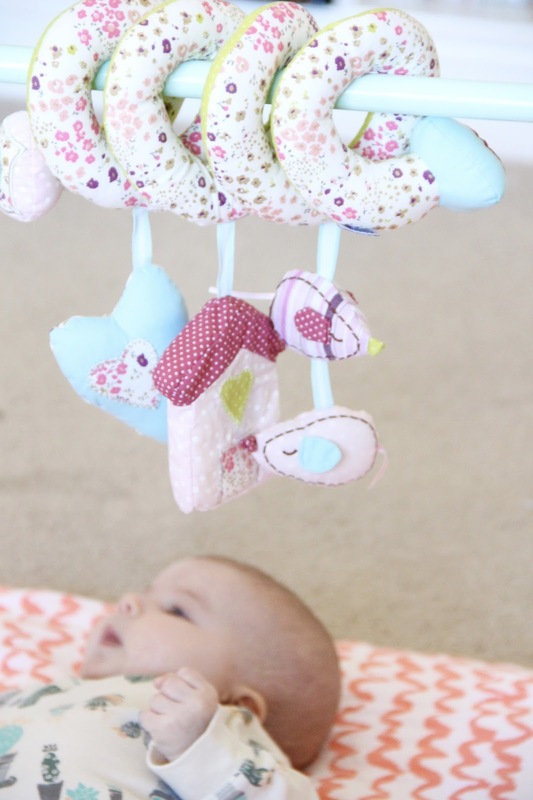 Greer loves her new activity gym and I can see us getting plenty of use out of it until our (quick-growing) girl moves on to bigger and more advanced toys!